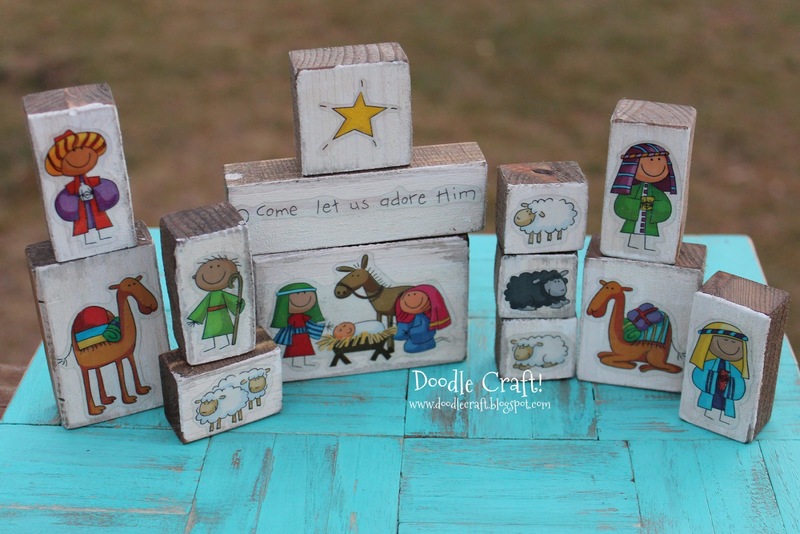 Doodlecraft: Cute Christmas Nativity Sets and Stickers! 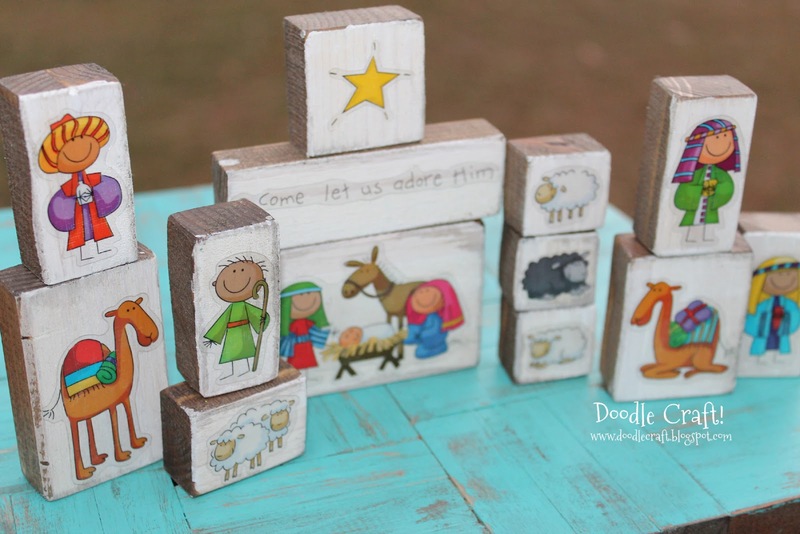 Cute Christmas Nativity Sets and Stickers! 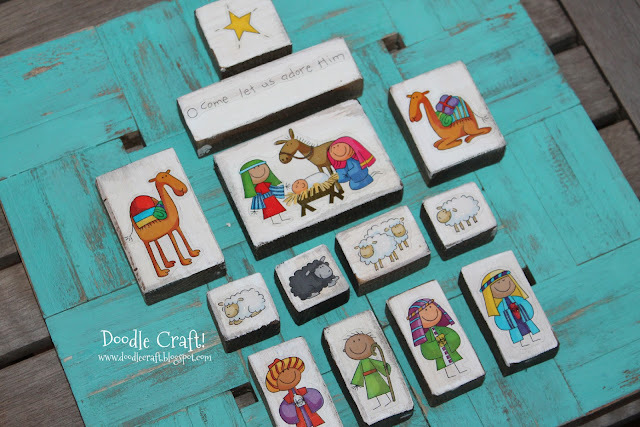 Make your own Nativity with these adorable Stickers! 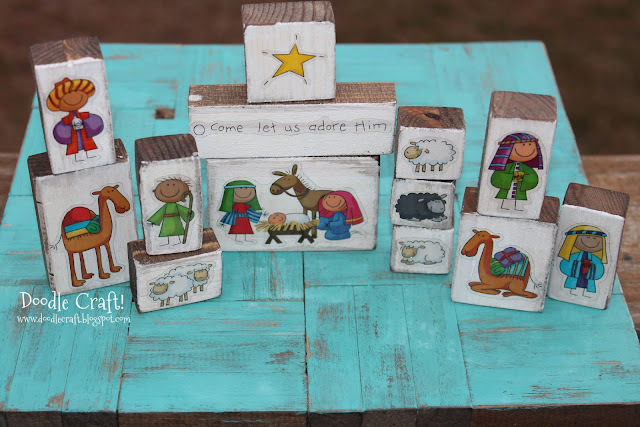 I love nativity sets and I especially love unique ones that children can play with. A great nativity DIY is the best. I have loads of these stickers available in my ETSY shop to purchase. 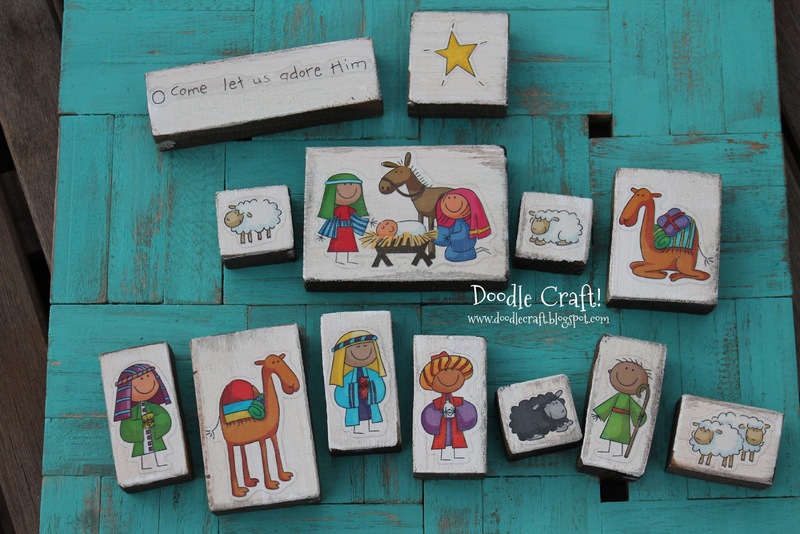 Then you can make your own wood nativity set...or put them on magnets, paper, or any other surface. This one was so cute and I love that each person was an individual sticker. However, it's discontinued and not my design. But I have the next best thing! Really, they are so cute! I have several of this smaller sized set for anyone interested in my Etsy Shop! Great for little hands to play with. It's cartoony and cute. 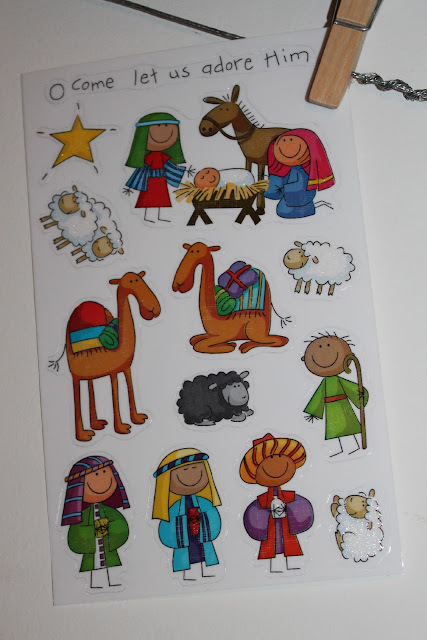 The shepherd and Kings are cute, I love all the sheep and the Holy Family is lovely...and I love the camels! I used a tablesaw and cut 3/4" pine boards. I painted the surface of the wood white and let it dry completely. Then stained the edges of the wood with dark walnut stain. After drying, applied the stickers and that's it! You could spray with clear coat or paint with varnish...but I didn't. 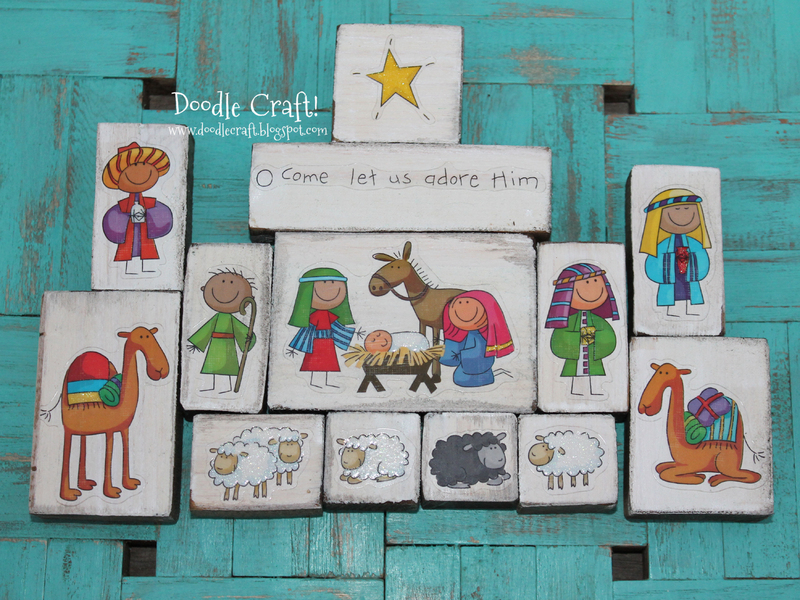 This little set is perfect for teaching children about the Christmas story. 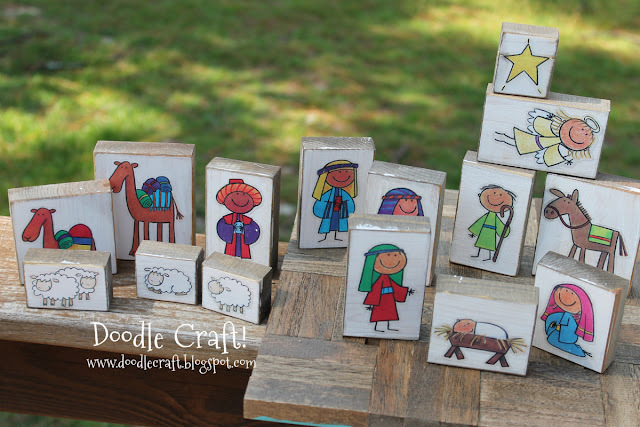 It's the perfect KIDS CRAFT too! The Christmas Story sticker sheet measures: 4 by 6.5". It has the Holy Family all together on one sticker that would fit on a block measuring 3" by 2". 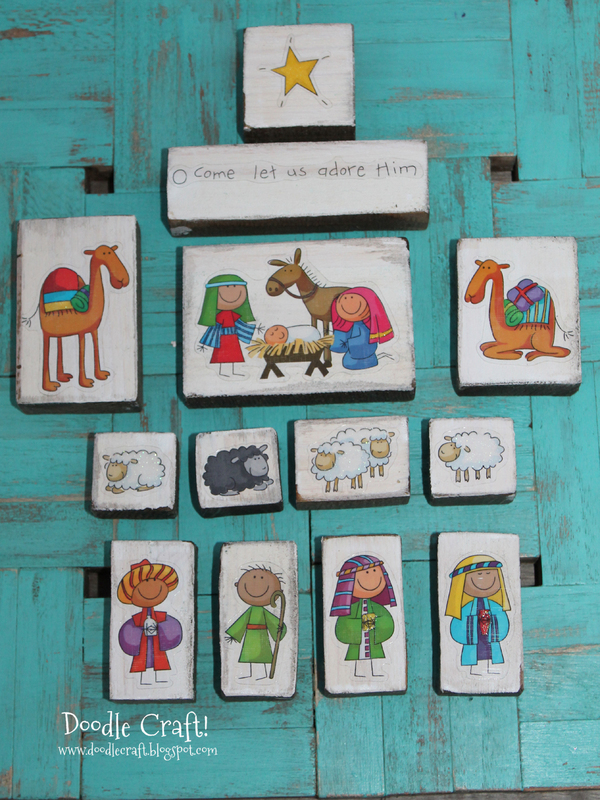 Perfect for little kids or Christmas gifts! Hi, I am wondering what kind of wood you used for this project, including the dimension of wood you bought? Is it an 8 foot 1x4? Thanks! While searching for ideas for Super Saturday...I came across this. I love you Nat! I'm in charge of Super Saturday this year, first time and I'm not that crafty. So I'm sure glad you have this blog. Im looking for a kid friendly nativity set and this is a great idea. I will go look at your etsy shop now! would you be able to give the measurements for each sticker/block? or tell me where to find the measurements.